Kenan Sofuoglu (Kawasaki Puccetti Racing) extended his championship lead with a start-to-finish victory in the 20-lap WorldSSP race at Donington. 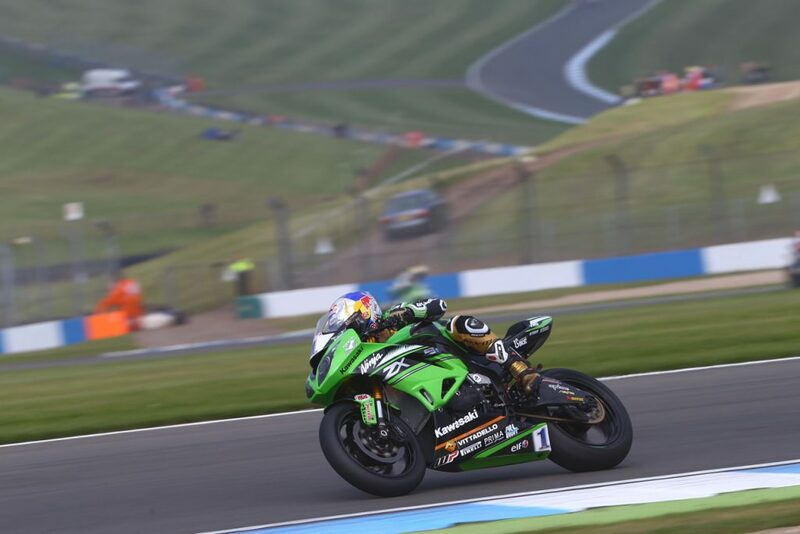 Kenan Sofuoglu (Kawasaki Puccetti Racing) extended his championship lead with a start-to-finish victory in the 20-lap WorldSSP race at Donington, winning by 1.569 seconds. It was his 35th career WSS race win. The final fight for the last podium places between PJ Jacobsen (Honda World Supersport Team) and Randy Krummenacher (Kawasaki Puccetti Racing) went to the American rider, who had even started to catch Sofuoglu in the final few laps. Gino Rea (GRT Racing Team MV Agusta) won the battle of the British riders with Luke Stapleford (Profile Triumph) for fourth place. Sixth was the onrushing Kyle Smith (CIA Landlord Insurance Honda) who came from way back to record a sixth place and lap as fast as anyone at the end. Alex Baldolini (Race Department ATK#25 MV Agusta) secured seventh behind Smith with Jules Cluzel (MV Agusta Reparto Corse) eighth and Sepang race winner Ayrton Badovini (GEMAR Balloons – Team Lorini Honda) ninth. Lorenzo Zanetti (MV Agusta Reparto Corse) managed to hold off Federico Caricasulo (BARDAHL Evan Bros. Honda Racing) for tenth place.